Two razor sharp MC's Steppa Style and the Original Smoke Dawg Deadly Hunta link up on a perfect riddim from Bizzari and wax lyrical about the benefits to hard work. 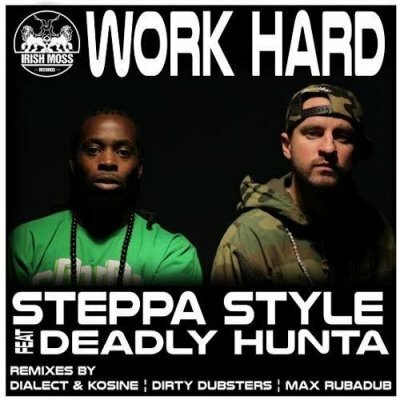 The uplifting theme of the tune is backed up to big effect as Steppa and Hunta are in particularly fine form here both executing infectious melodies and double time machine gun spitfire flows. Remixes come from our old pal Max Rubadub flips a Dancehall styled riddim. We warmly welcome UK Jungle duo: Dialect and Kosine to provide a heavy Jungle mix while label bosses Dirty Dubsters also chime in with an additional Jungle mix.